Ever since I've peaked over into my late 20's, I've slowly become an advocate of cleansing - The Clean Program cleanse, in particular. After reading Dr. Junger's book, Clean: Restore the Body's Natural Ability to Heal Itself , I started to put more thought in how important our digestion is to our overall well-being. As I continued to research different supplements that I wanted to take for my DIY Clean Program, I thought about how different body cleanse supplements would go along with my cleanse. After spending hours and hours looking through the supplement section at different Whole Foods, comparing different kits from different brands, I decided to forgo the marketing and go generic with the Whole Foods brand. Even then, there were two different ones, one that was $12.99 vs another that was $10 more. Me: Is there are difference between these two body cleanse kits? WF expert: Shakes head - Nope, they are both pretty similar. WF expert: Just buy the cheaper one, there's not much of a difference. And with that extra nudge towards what I was thinking anyway, a decision was made and I went for the cheaper $12.99 cleanse - the 365 Complete Body Cleanse. If you're looking for a more structured cleanse and diet plan to pair with the 365 Complete Body Cleanse, check out my post on Day 1: Starting The Clean Program & Grocery List for Clean Living. Before I go too much into my product review, I wanted to give you a better idea of what the Complete Body Cleanse is all about. The next few paragraphs is paraphrased from the Complete Body Cleanse box, and as it turns out, it aligns really well with some learnings from Dr. Junger's Clean book. Why Can a Cleanse Help Me? Our bodies absorb these environmental toxins from the air, water and our food. Now with Complete Body Cleanse, you can support your own body's own detoxification process, remove toxins and get your system back on track. How does the Complete Body Cleanse work? Cleansing Fiber Blend: A cleansing fiber blend for safe, thorough, gentle, and effective cleansing. For two weeks, four Cleansing Fiber Blend capsules in the morning and four capsules before going to bed. Herbal Regularity Laxative Formula: A gentle, non-stimulant laxative with a soothing herbal blend to utilize the natural water in your body to flush toxins away. For the first week, three Herbal Regularity Laxative Formula tablets before going to bed; for the second week, two tablets before bedtime. Milk Thistle Liver Cleanse: Liver support to help eliminate toxins from your liver and gall bladder and support liver function. For the first week, one Milk Thistle Liver Cleanse capsule at night; for the second week, one capsule in the morning and two at night. Fiber's key role in Complete Body Cleanse is to absorb and eliminate toxins. The unique fiber blend binds to toxins and removes them from the body. Without fiber, toxins may be re-absorbed into your intestines. While doing the Complete Body Cleanse, make sure to drink a lot of water and eat a healthy diet. Your body will be working hard, so take it easy and avoid intense exercise. Do gentle stretching or yoga. No doubt, you'll soon find yourself feeling lighter, cleaner, and more focused. This article from Livestrong.com describes the functions of this cleanse pretty well too. I started using the 365 Complete Body Cleanse the 2nd week into my 3 week cleanse on The Clean program. This means that 1 week prior to me starting the Complete Body Cleanse supplements, I already started eating really clean and only foods that are more easily digestible such as lean meats, whole grains and lots of vegetables. I was also consuming liquid breakfasts and dinners, which helped my body with the detox process because it required less energy for my body to break down the food I was putting into my body. The Clean Program helped jump start my detoxification. This also meant that as I was taking the 365 Complete Body Cleanse, I was not eating processed foods and didn't drink alcohol the entire time. During the first few days of taking the 365 Complete Body Cleanse, I didn't feel much of anything from the cleanse. All I knew was that I was taking an insane amount of pills every morning and night (4 in the morning, 8 at night!). Just a warning, all these pills are pretty HUGE, so if you're not a good pill taker, that is something to take into consideration. One thing that I did notice during this time was that while my cleanse kept me on a low amount of food, taking these pills every day, along with an 8 oz glass of water per every 4 pills kept me pretty full. I'm not sure if this means I normally don't drink enough water, or perhaps if it's the fiber pills that keep me full. Either way, I think of this as a great bonus. Here's for the nitty gritty part that we all like to hear about any internal cleanse. Even during my first week of eating healthily during my cleanse, my BM wasn't very regular and it's usually still hard for me to go, despite how many vegetables I ate. The Clean Program advises that your BM should come out in a smooth consistency, almost like peanut butter and that it should happen daily. If you weren't having regular BM, you were encouraged to take herbal laxatives such as products containing senna or castor oil. 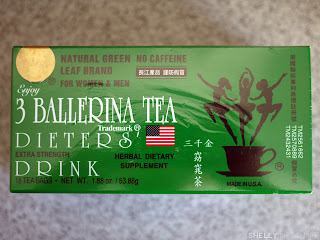 Up until I started using the 365 Complete Body Cleanse, I was actually drinking a lot of senna teas, particularly the 3 Ballerina Tea at Asian Supermarkets. 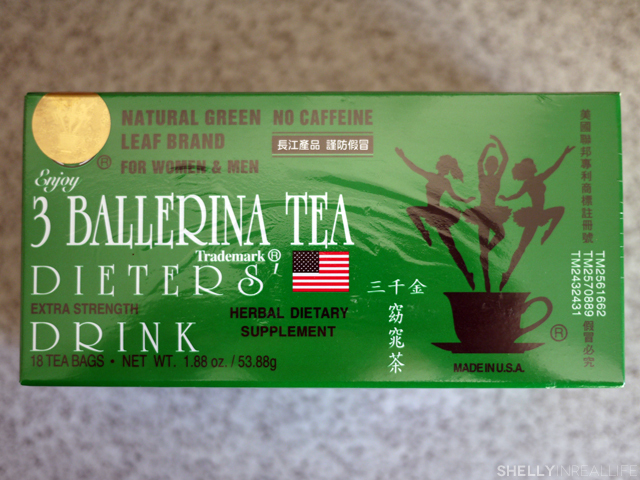 I know it says it's for "Dieters's", but the main ingredient is senna, and it is half the price of other American senna teas. It actually tastes pretty similar as well, and the same effects, after comparison. About 4-5 days into taking the Complete Body Cleanse, I no longer felt like I needed to supplement my cleanse with this tea. In addition, I was having very regular BM, and I didn't need to "force" it out of my body. The elimination was definitely more solid than when I usually drank the teas, pretty much like the consistency of peanut butter, just like how The Clean Program describes it, as gross as it may sound. I just wanted to note that usually my diet is relatively healthy. That is, I eat my veggies, stay away from soda and if I eat chips, candy or other junk food (chips is my weakness though), I won't eat more than a small personal bag more than once a day. Depending on how your diet is, and how closely you follow the "eat healthy while you're on the 365 Complete Body Cleanse" instructions on the box, your outcomes will probably personally vary. For me, when I completed the cleanse, I didn't experience any rashes, or anything that was outstanding on my body. The only thing that I got was drier skin, in which I lotioned up a lot more than usual and took extra Omega 3-6-9 supplements to try to add more essential oils into my body. The drier skin bit happened to be me another time when I was doing the cleanse, so I don't believe it was isolated to the Complete Body Cleanse itself. Do note that as toxins exit your body, there are only so many different ways that it can exit, so some people have mentioned experiencing breakouts, congested, might become sick, sore throat, the works. The benefits were clear to me though, I definitely had more energy, felt a lot less bloated, and began craving healthier foods (I think this one is due to my own cleanse, not to these pills, but I bet it really aided). I'm also proud to say that even weeks after completing this cleanse, I am noticeably more regular. I used to go more than 24 hours without needing to go, but more recently post-cleanse, I have been going daily, almost like clockwork. So if you were considering trying a cleanse which helps target your internal systems, I would recommend trying this. 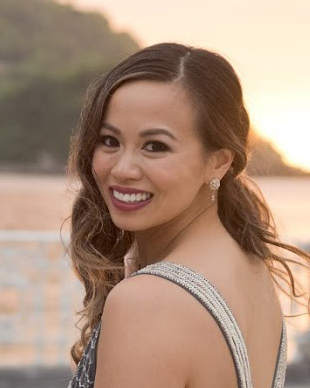 Even after eating a week on my elimination diet, this cleanse helped me jump-start a deeper part of my cleanse that I wasn't able to achieve before. Also, these supplements are very very affordable. For only $12.99 (or however much it might cost at your local Whole Foods), you are able to help your body increase liver support, and provide extra fiber to your body to allow you to pull out toxins that are released in your body, and adding you to be more "regular". Have you tried this cleanse before? How did it work out for you? 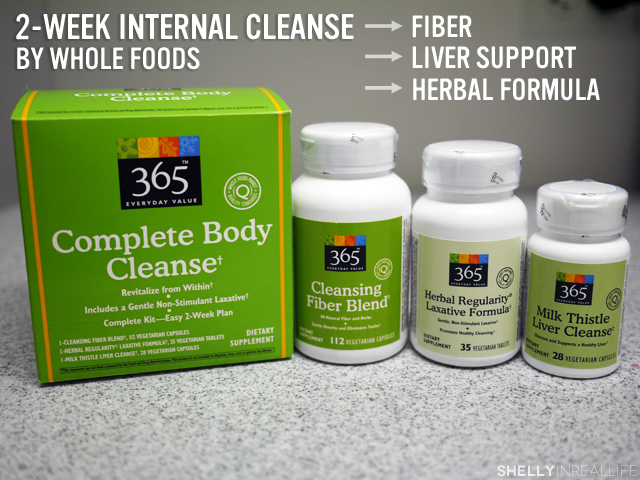 Would love to hear about your experience using the 365 Complete Body Cleanse!